The year is 1725. Lady Gloriana Baniard is a beautiful fish out of water. Brought up on the mean streets of London, she is a brash, blunt, obscene force of nature. But thanks to a brief marriage to a disgraced aristocrat, she is forced to live with his noble family and endure the humiliating process of learning to be a lady. Rebelling, she runs away to Yorkshire, where she intends to be a blacksmith, a skill at which she excels. She knows she'll need a manservant to front for her. When John Thorne appears, she hires him, stirred as much by his irresistible attraction as by his strength. John Haviland, Duke of Thorneleigh, is an arrogant, indolent gambler and womanizer. Having seen Gloriana just once, he yearns to make her his own. When he learns she has run away from her family, he makes a wild bet with his wastrel companions--he will find the lady and bed her. Disguised as a humble servant, he becomes her assistant, learning the blacksmith trade. 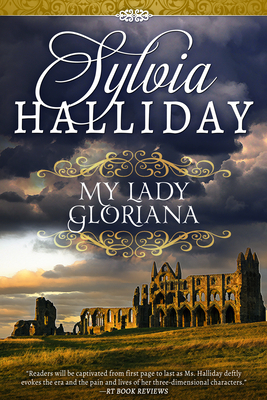 The clash of wills between these two proud people creates more sparks than a blacksmith's anvil, as Gloriana learns to be a lady, Thorne learns humility--and desire deepens to love.